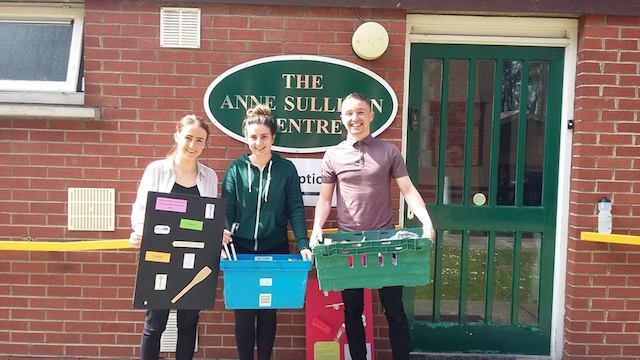 The Anne Sullivan Centre provides training and information sessions to the families of people who are deafblind and a broad spectrum of professionals who work with people who are deafblind including teachers, SNA’s, nurses and social workers. 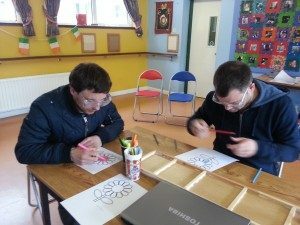 As the organisation is dedicated to raising awareness of deafblindness on a national level, we are available to provide deafblind awareness training in schools, workplaces and clubs and societies around the country. this training is prepared and facilitated by a team of consultants, intervenors and social care professionals with extensive experience supporting people with combined hearing and vision impairments. All our training can be customised. We adapt to your needs in terms of numbers of training sessions required, the length of each session, numbers of participants, content and format of training. Training is interactive and encourages group participation. ⦁ Strategies and techniques for hearing and vision assessment in the natural environment. ⦁ Adapting the curriculum and writing IEP plans for children with dual sensory impairment. 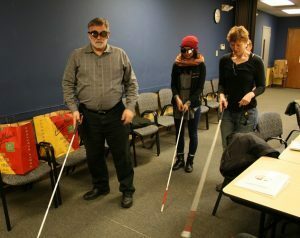 (Participants will work on adapting materials to make them meaningful and accessible to students with vision/hearing impairments as well as severe special needs. Participants should bring sample IEP goals as well as curriculum lesson plans and be prepared for practical work). ⦁ Anyone who might be in contact with an adult or child with some degree of hearing and sight loss e.g.family members, front line staff, managers, SNA’s, teachers, OT’s, SLT’s, PT’s, Social Workers, Psychologists, Audiologists, Ophthalmologists, and office staff. We aim to provide increased awareness training during 2017 in an effort to influence a wide range of individuals and groups to recognise the abilities of all people to lead full and meaningful lives and the importance of removing the barriers that prevent this.